Crestview Collectionfeatures beautiful home accents including decorative lighting, accessories, accent furniture and wall décor from designers and artisans all over the world. The quality is impeccable and the price point extremely affordable. If you are looking to complement your home's decor and interior design, Crestview Collection can provide you with a wide range of choices unique to your personality and design tastes. Browse the Crestview Collection and see for yourself. Crestview Collection Bengal Manor Mango Wood And Granite Kitchen Island is a piece that offers functionality and style. 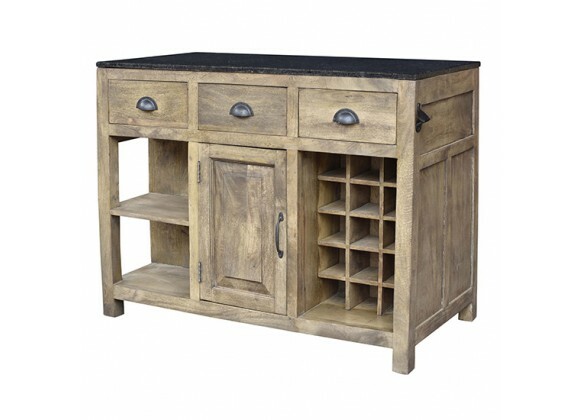 With its wooden feature, it gives every room a rustic vibe.